In the last week the weather has been up and down . A few of the days i was out guiding i had 5 layers of thermals on and a gortex jacket on top. The wind was bitterly cold. Then about 2pm the sun came out and all the layers had to come off again. Its been the worst no constant weather for a February that i have known. Yesterday it rained for 18 hours!! 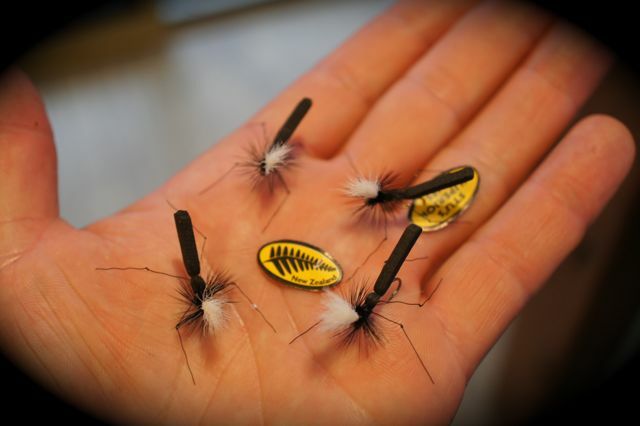 Stu's Deadly NZ Blow fly - Nails another monster! 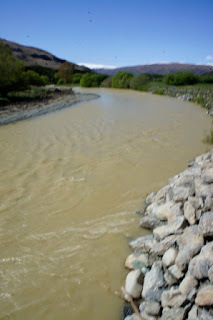 18hrs of Rain- Matarua river Athol! Today all the rivers are high and dirty- ok- dirty means high and chocolate brown- a few tail waters coming out of dams will be clear and the odd wee spring creek. But for most systems it will be a couple of days at least before they become fishable again. So the flows will soon be back to normal in a few days and all will be gin clear again and the fish will be looking for small and giant cheese burgers on the surface. NEW DEADLY FLIES THAT YOU WILL LOVE USING! The Superior range is gradually growing and getting better and better! The designs are getting more durable and realistic. The New Deadly Hi- Viz range focuses allot on white easy to see white calf hair sight posts. NEW Heavy Durable- HOT ORANGE KILLER NYMPHS! 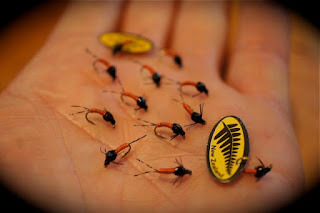 The Hooks - slight changes have been gradually made to the nymph range with even stronger wire TMC hooks being used and all chosen to give each fly the best hook up rate- just look at the clearance you have on Stu's Superior fly range compared to any others on the market- This can only be achieved by Stu being a pro fly tier and in charge of the Quality of his own Superior designs! You will not find a better quality designed pulsating Bait fish design- Stu's deadly Minnow!! 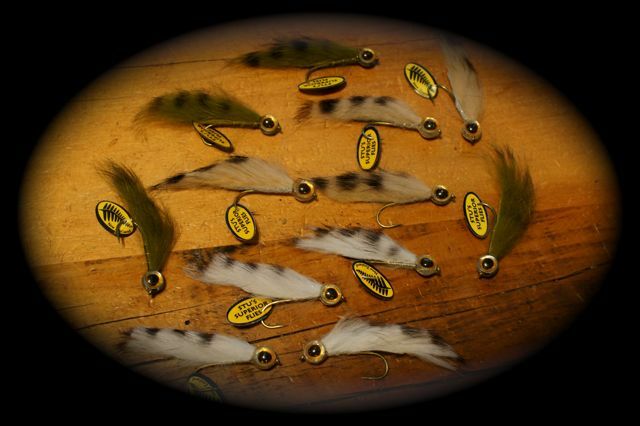 a must for every fly box. Nearly all the trout have been fat and healthy looking on all the Southland river systems that i guide on. 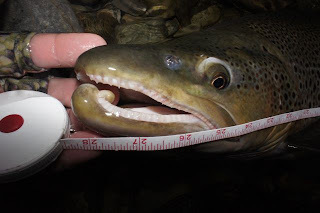 As usual many of the trout on the Oreti in the upper reaches are hot and exhausted looking especially the long skinny snake type ones found in the shallows along riffles! 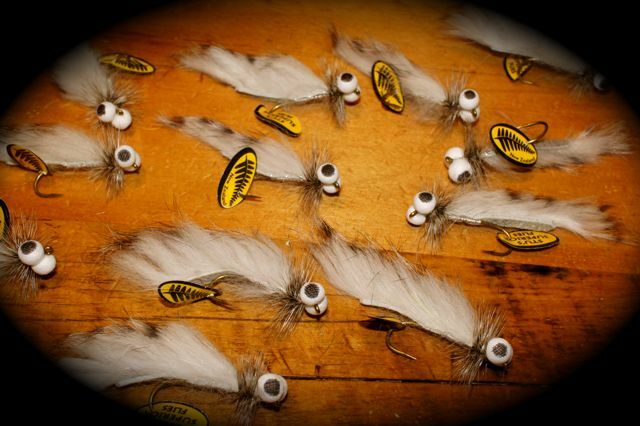 They are the old worn out trout of previous years. Fish not sitting in the shallows are are healthy and fat looking and full of fight, although i have seen a few more marks on many of them where bad handling practice by some fishermen it could have only been. 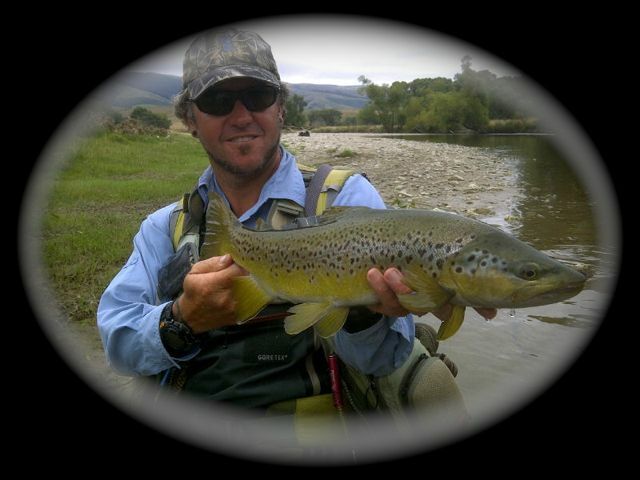 Plus the Oreti in Feb is under allot of fishing pressure as everybody is looking for a big fish on a dry fly! The rainbow trout that up to now have been in not so good condition are all back on form and are jumping out the water like crazy when hooked. The other day i had a lovely client who always wishes me to guide him on his favourite river the Oreti. Nowadays i hardly ever go there when guiding as it is getting allot of pressure. Sure enough i picked a great sunny no windy day for him and off we went. We went to 12 different access points before we found one that gave us only 1 klm of river to fish but it was better than nothing . we only managed to fish two riffles when some other fishermen came down on top of us. So we had to leave and go to another river. OH! Bugger! i thought! well nobody owns the river- that can only be a good thing! There seems to be some overseas guiding operation dropping clients off and not leaving any other fishermen any way of knowing that there are others in front of them, until they catch up with them - like poor Silvio (from the source dvd) got the other day which he was not too happy about! Which unless there is some system on the access for warning anglers ,it will always be that way! Maybe that's something for F&g to help with maybe a white board at each access- or better still a beat system extension would be the best option- especially if the cycle trail goes ahead down the banks of the river! Food for thought!